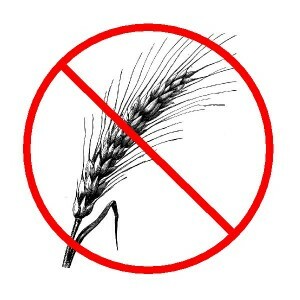 Can’t eat wheat? What’s in your teeth? I had a bit of a moment when I was out eating dinner a couple of weeks back. A local restaurant had launched a whole new line of gluten free dishes on its menu — very exciting stuff — and I was there checking it out with members of a gluten free group I’d found online. I was sitting opposite the organizer of the group, making chit-chat, waiting for the waitress to come take our order. I was talking about how careful you have to be when sharing a kitchen with a wheat-eater, how my girlfriend and I had a toaster each to avoid contamination. And they both laughed ruefully. Now believe me, I don’t go around craning my neck, looking into other people’s mouths to see if their teeth are stuffed with mercury. But if someone opens their mouth in front of me, what am I supposed to do? If I see some amalgam right in front of my face, I notice it. Well, this couple laughed, and I saw that both of them had a lot of amalgam. The conversation moved on to how hot the weather had been, but my mind was still back with the amalgam. I know that my own personal case of gluten intolerance was caused by mercury amalgams. My symptoms first flared up when I got my amalgams removed. Then they got scary bad with neuropathy and tunnel vision when my blood mercury levels were at their highest. And now that I’ve detoxed the mercury, my symptoms are practically non-existent. The connection couldn’t be clearer. But as I sat there at that table and looked at that couple, I wondered, What if it’s not just me? What if every single case of gluten intolerance, celiac disease and wheat allergy is caused by mercury? I was sorely sorely tempted to conduct an unofficial poll right there at our gluten free table: Hands up everyone here who has silver fillings? Would all the hands go up? I thought about asking, but the moment passed and I let it go. But I’ve been thinking about it ever since. What would it mean to the celiac community if a direct causal link was found between amalgam fillings and allergy to gluten? Has anyone really asked this question? I think a lot of people would like to know. Hi Aine, always a pleasure to read your mercury stories. So you are able to eat gluten now without any side effects? would you be kind to check this blog entry to find out if he is probably into a mercury dump phase.. he had his amalgam fillings removed last January..
by the way, as you know Ive had my amalgam fillings and crowns removed last June and having read one of your blog entries about OCD and ADD, I found myself researching about Asperger’s Syndrome… it seems I have aspergers… probabl because of mercury too.. I was also diagnosed with wheat and gluten intolerance. Im really interested in your blogs! I had 10 amalgams since I was 15 and bang 2 years ago I became sick very bad and am now Celiac. My mother and young sister are Celiac and my brother and older sister are not. Guess which 2 do not have mercury in their mouths.. thats right my bro and older sis! Iv had my fillings taken out with the huggins protocol but really need some advice on getting the mercury out of my system. So many contradictions online. Misleading and confusing information. Do you have any solid advice or pointers? something that wont end up costing me 1000s of hard earned cash. Many thanks for wonderful work and keep it up!!! Not being a health professional of any type, I can’t really give advice, I can only talk about my experience. And I guess the top resource for me when I was detoxing was Andy Cutler’s book Amalgam Illness. It helped me beyond measure, especially when I went to the associated Yahoo Group and read about others putting his theories into practice. The full story of my detox is of course in my book Getting the Mercury Out, and is a great place to start to get an overview of what Cutler-style chelation entails. Ever since I read your book about gluten intolerance and the mercury connection I have been thinking the same thing….what if mercury is the cause of celiac, gluten intolerance and wheat allergy? I really think someone should do some polling-my gluten intolerance and my daughter’s did not start until I broke a thermometer in the bathroom, vaccines for both of us and the fact that I carried her with a mouthfull of mercury fillings. After I had my fillings removed was when gluten intolerance kicked in full force. Following a gluten free diet is expensive, time consuming and difficult, in my opinion. Please, let’s do a poll!!! @ jeckabeejeckabee, I’m not celiac but I do have other food sensitivities that began after I became Hg-intoxicated. I’ve never had any amalgams – there’s plenty of ways to get mercury in your system. Vaccines did it for me (they contain ‘Thimerosal’, which is an ethylmercury-based preservative). @ Áine, I wonder if celiac arises due to a substance (in your case mercury) incapacitating the liver’s metabolic pathways in some particular way – the point thus being that perhaps it’s not exclusive to mercury but instead relating to something that mercury does to the liver which some other toxins might also be capable of doing. Just a suggestion. I nonetheless ‘see mercury’ now in people all over the place in my daily life, just as you and I discussed a couple of months ago, and just as Andy mentions in his writings. I think I have read that mercury knocks out the enzyme that digests gluten and lactose, which is why so many of us have a problem with bakery and dairy products. Yeah, I know I definitely had serious problems with lactose intolerance when my mercury symptoms were at their worst. Ah, apologies, Nicola, when I typed my above remark, I did not notice yours predating mine, lower down the page, and saying very much the same thing. No disrespect or duplication intended! All I can say is that my personal experience, too, very much concurs with what you said. Mercury is an enzyme inhibitor. Therefore it may be the cause of gluten sensitivity. Another cause can be a leaky gut. The lining of the intestine produces enzymes. If the lining is damages (Candida, stress, food intolerances etc. ), as it is in leaky gut, there is an lack of enzymes and undigested food particles can enter the bloodstream. When getting mercury out of your system your pathways have to be open: Kidneys, liver, colon. It is kind of a balance. Mercury distrurbes the function of enzymes, organs and many other parts of your body. But it is important to get your body to a certain degree of health in order to be able to get the mercury out of it. Eyes shut and the hard way is not a good idea in my opinion. Agreed! Chelation isn’t just about getting chelators into your body on schedule. It’s about observing your health and supporting any aspect of your body that’s overburdened or struggling. Chelation = chelating + keeping mercury symptoms under control so you can keep on chelating. I think you are right. And why do kids today have so much trouble with gluten? All the metals in vaccines, especially mercury and aluminum. They disrupt protein metabolism, and gluten is a protein. They also cause mental symptoms by disrupting proteins, aminos that make up proteins, which makes our neurotransmitters. I have had many health problems over the past ten years. I was diagnosed with celiac disease 7years ago and have been gluten free since. Also, thyroid problems started and they found thyroid cancer. Have been treated for thyroid cancer (thyroidectomy,and radioactive iodine) all around the same time I found out that I was “gluten intolerant”. I have had so many “diagnosis” too many to mention…..This is so interesting because I have had several root canals and a mouth full of amalgam fillings since I was a teen. I know this all has to be related (doctors do not seem to relate or just scratch their heads) so frustrating. I have been researching for years and have came across this connection. I have an appointment with a biological dentist who recognizes this could be a potential factor relating to all my health problems. I am anxious to see! :)) Thanks to all for the interesting and helpful post.